Mindy Reynolds is a native of New York and attended Marymount Manhattan College, located on the upper east side of Manhattan, graduating with a Bachelor of Science degree in psychology in 1983. Mindy has always been interested in helping special needs children so while at Marymount she completed her internship at Bellevue Hospital Center Therapeutic Nursery working with autistic children. While at Marymount, Mindy also pursued her interests in the theatre and arts by taking classes that required regular attendance at theatre productions throughout New York City and viewing and critiquing art work in the cities many museums and galleries. After graduating from Marymount and having had the opportunity to clerk for her father’s law firm in New York City, Mindy decided to follow in her father’s footsteps and attend law school. Upon invitation from Washburn University School of Law, Mindy packed up all that could fit in the trunk of her car and headed to Kansas to start what she didn’t know at the time would be her new life in the Midwest. 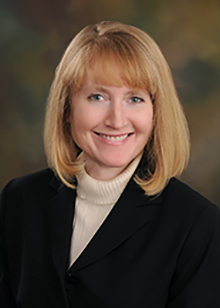 Mindy graduated from Washburn University School of Law in 1992 and has been practicing law for over 25 years. While attending Washburn University, Mindy completed a family law internship at the Washburn Law Clinic. Mindy later worked as a staff attorney with the State of Kansas Department of Social and Rehabilitation Services (SRS), managing a caseload of over 500 cases involving collection of unreimbursed assistance and child support enforcement in a geographic area covering seven counties in Western Kansas. After serving as a former litigation attorney with the State of Kansas, Department on Aging, and as a civil litigation associate for a private law firm in Topeka, Mindy realized her passion was family and matrimonial law because of the positive effect that this work has on her clients’ lives and the lives of their children. Deciding to make family law her exclusive focus, Mindy established her private practice in family law in January of 2000. Mindy Reynolds is a member of the International Legal Honor Society, Phi Delta Phi, the Kansas Bar Association, the Topeka Bar Association, the Topeka Bar Association Family Law Committee, the Women Attorneys Association of Topeka, and the American Bar Association, with membership in the following American Bar Association committees: Family Law; Marital Property Law; Collaborative Law; Custody Law; Child Support Law; Adoption Law; and Trial Practice and Techniques. 505 S.W. Van Buren St.
© 2019 Mindy B. Reynolds Attorney at Law. All Right Reserved.